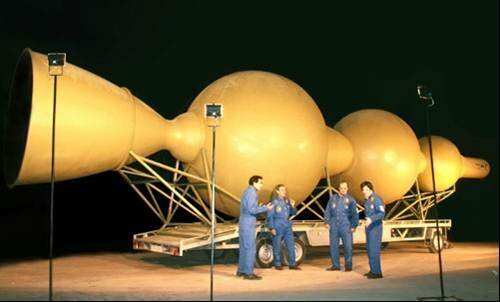 Team ARCA from Romania plans to use a giant black balloon for the first part of their moon shot. When it absorbs sunlight the air inside heats up to hoist the balloon and the attached rocket into the stratosphere. "It's very simple and it costs nothing," says project manager Bogdan Sburlea. The rocket, called Haas, was developed for the first X Prize and will launch from the balloon 14 kilometres above the Earth. "This is why our rocket looks so strange," Sburlea says. "If we launch from a high altitude, we don't need to have an aerodynamic form."